Ecological, social and economic crises converge as never before. The forces of greed, hate, and fear are being unleashed in ways we thought we'd left behind. It is easy to succumb to despair, apathy and cynicism. Yet there is another response. ​With powerful processes and mutual support, we can find our own best role in creating the world our hearts know is possible. The Work that Reconnects is an empowerment process that builds motivation, creativity, courage and solidarity for the transition to a sustainable world. An open-source body of work developed by eco-philosopher Joanna Macy and colleagues, it draws from systems thinking, deep ecology and spiritual traditions. It has inspired thousands to work together for the sake of life on Earth despite rapidly worsening conditions. ​ZENDialogue offers three-hour, day-long and weekend workshops in the Work that Reconnects. The Awakening the Dreamer Symposium is a transformative workshop designed to help people tap into their personal potential to create a thriving, just, and sustainable world. In as little as two hours, the Symposium can re-kindle lives, waking people up to their unique role in transforming humanity's future while building local communities that support this collective goal. 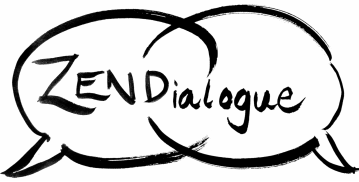 ​ZENDialogue offers two-hour, half-day and full-day symposia for community groups, organizations & youth. Natalie Zend, M.A., is a member of the Work that Reconnects Facilitator Network and a trained Awakening the Dreamer facilitator. Personally trained by Work that Reconnects root teacher Joanna Macy, she has served on Joanna's team during two 10-day intensives. She graduated the first cohort of Bolivian Awakening the Dreamer symposium facilitators in 2010. In 2012 she co-founded Unify Toronto, which aims to accelerate the co-creation of a just, sustainable, thriving Toronto and world by bringing together and synergizing diverse groups in Toronto working for positive change. She is part of the core group of the Transformative Learning Centre, a hub for change-makers, educators and cultural creatives, and was co-convenor of the Toronto Healing Council or "Daré," a monthly gathering for healing and peacemaking, from 2008-2013. "This was an incredibly powerful experience... although there was a lot of discussion it transcended words, invoking a shift in the self at a core level." "Natalie did a great job with our small group: wonderfully organized/prepared; diverse tools and processes; great songs, mix of activities and fun." "I learned that we don't have to make the change alone." This 7-minute video lays out what ZENDialogue's leadership workshops are all about: how we can make the transition from the old story of separation, competition and self-interest to a new Story of the People. Video by Chris and Dawn Agnos, based on an inspiring TEDx talk by writer and visionary Charles Eisenstein. More perspectives for our times here.